I write this approaching you with humble pie. I've eaten many a crow and today I was forced to consume another. I'm sorry. I live in South Carolina. I'm in Hurricanes country. I have a soft spot for the Carolina Hurricanes. I'd seen plenty of your work over the years and overall I hadn't been too impressed. Yeah, you won a Cup as their General Manager but it felt... lucky. There's a lot of luck that goes into winning the Stanley Cup, we as fans know, but this felt different. Injuries at key times to opponents just made it very "Team of Destiny." That's not something you should write off, but I did. Blake Comeau has been outstanding. When your name was mentioned as a possible candidate for Penguins General Manager I led the charge in saying, "NO." Your work in Carolina, mostly famine with occasional feast, made me leery of your abilities to form a stable team year in and year out. When you were announced as the General Manager, with your harem of helpers, I scoffed. I felt very negative about the direction of the team. People tried to comfort me and say that you were on a limited budget, that you were hampered by circumstance, but I didn't buy it. Your track record was staggeringly similar in playoff appearances and results to the GM they'd just jettisoned, but with far more time in which to accrue those numbers. It felt lateral at best. The way the coaching search seemed to be handled did not seem like much of a comfort for those looking for some brightness behind the clouds. Since then you've done nothing but shine. Your trade of James Neal was heavily questioned. Time has proven those questions to be foolish. Your drafting of Kasperi Kapanen, at this time, seems like nothing short of a home run. Your bargain bin signings of Blake Comeau and Steve Downie have been exemplary. Signing Christian Ehrhoff at, for all intents and purposes, a discount has worked out pretty well as well. You'd done a fantastic job of putting together the most complete team this fan base had seen in years. One that has still had some success in the face of some bizarre and unfortunate injuries/illnesses. They've been deep enough to overcome cancer, the mumps, a blood clot, the mumps, random maladies, and the mumps. And then today you made the team even deeper and more deadly. When you acquired someone as versatile and dangerous as David Perron for a high first round pick and a role player in Rob Klinkhammer, you've earned every bit of praise that can be heaped upon you. And even more. 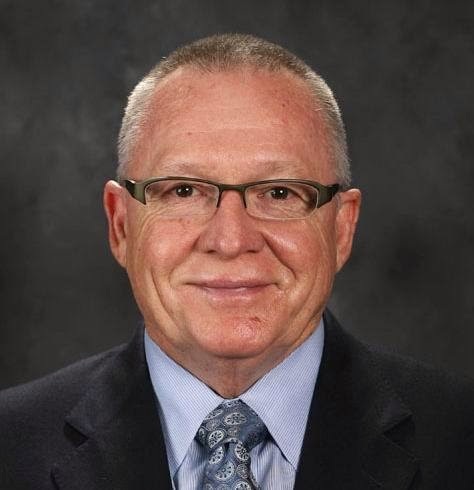 To you, Jim Rutherford, I offer a mea culpa. I was wrong. You have proven yourself more than worthy of running this team. I doubted you and I should feel shame for doing so. Your contract may not be long. You may not stick around forever. In a short time, however, you've done a fantastic job of rebuilding, remaking, and rebranding the Pittsburgh Penguins to a team that is no longer stale, no longer feels predictable, and one that is more fun than it has been for a while. I'm sorry for doubting you, Mr. Rutherford.